You know the drill. Wash your hands before you eat. Wash your hands after school. Wash your hands after you use the bathroom. Your mom, your teacher and your doctor probably remind you about hand washing all the time. But 200 years ago, people didn’t know that germs caused disease. They didn’t know that hand washing could get rid of germs. 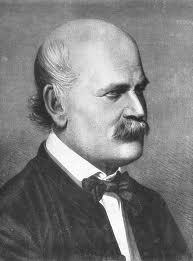 All About Ignaz Semmelweis, who was born in Hungary in 1818. He studied to become a doctor in Vienna, Austria. In the 1800s, many women died in hospitals during childbirth. 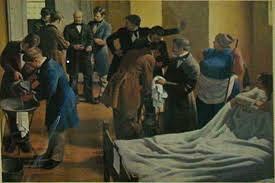 One doctor, Ignaz Semmelweis, noticed that the most deaths in his hospital occurred in a room where medical students helped. The students came directly from examining dead bodies. They didn’t wash their hands. They spread germs to the women. Ignaz tried to convince the nurses and doctors to wash their hands. Most of them didn’t listen to him. They laughed at him. Unfortunately, Ignaz died from one of the same infections he was trying to prevent. He was still ridiculed at his death. Today, we know his ideas were correct. Ignaz tried to convince the nurses and doctors to wash their hands to get rid of harmful germs. Louis Pasteur, who invented pasteurization, believed in Ignaz’s work. At a convention where a doctor was ridiculing Ignaz’s ideas, Louis shouted at him. Ignaz was born in Hungary in 1818. He studied to become a doctor in Vienna, Austria. At that time, almost one-third of the women in hospitals in America and Europe died in childbirth. Doctors thought it was humiliating to wash their hands. Also, water was often thought to contain disease. It had to be heated over a fire too. When doctors and nurses listened to Ignaz, few or no women died. A video about the Zeitgeist Movement by Ignaz Semmelweis. Question: Was Ignaz the only doctor who promoted hand washing? Answer: In New York in 1910, Dr. Josephine Baker taught child care workers to wash their hands when taking care of children and babies. Not all the doctors liked Dr. Baker’s approach. Thirty doctors wrote a letter to the mayor. They complained that Dr. Baker was ruining their business, because there weren’t as many sick babies. Enjoyed the Easy Science for Kids Website all about Ignaz Semmelweis info? Take the FREE & fun Ignaz Semmelweis quiz and download FREE Ignaz Semmelweis worksheet for kids. For lengthy info click here. Declan, Tobin. " Ignaz Semmelweis Facts for Facts ." Easy Science for Kids, Apr 2019. Web. 20 Apr 2019. < https://easyscienceforkids.com/all-about-ignaz-semmelweis/ >.